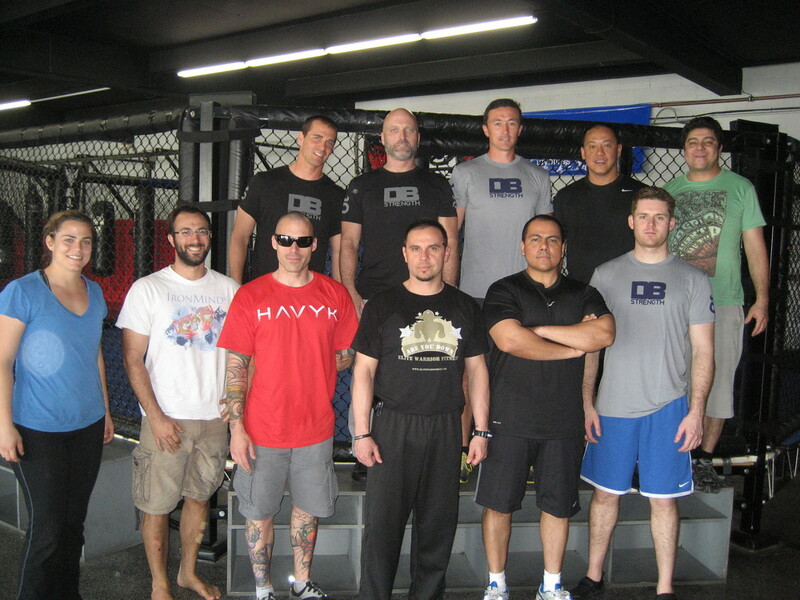 Over the weekend I attended Doug Balzarini's, "Strength & Conditioning for the Combat Athlete" workshop. It was great. Just thought I'd give credit where it's due and share a few things I learned. Doug's workshop was held at Alliance MMA in Chula Vista, CA where he heads up the strength & conditioning program for their team and fighters like Brandon Vera and Dominick Cruz, just to name a few. The facility looked great and had some great tools for just about anyone's training needs. Doug is a classy man and greeted us with some nice swag bags including his dvd, a well done workshop booklet, and a super soft t-shirt. The workshop booklet had some great training templates that do a great job of breaking down the way Doug trains his athletes, but in a way that really provides a coach the flexibility to make it their own and meet their clients needs. This was a great addition and really got me thinking about the way that I program for some of the Brazilian Jiu Jitsu athletes I work with. After quickly discussing soft tissue work and joint integrity, we all got to the floor and practiced some of the mobility and foam rolling drills Doug likes to implement with his athletes. I got some good takeaway ideas for thoracic rotation drills. We discussed a lot of different types of drills and modalities, for mobility, recovery, strength, and conditioning throughout the day. However, Doug was always happy to explain that, while it may not make for exciting youtube videos, everybody benefits from some variation of push ups, pull ups, and squatting / deadlifting. I left Alliance this weekend excited about the new ideas I picked up. Doug is going to be doing some cool things within the MMA strength community soon. If you get the opportunity to learn from Doug or work with him do it. He can teach you a lot about developing combat athletes to get the most out of them on fight night, and not just making them work till they puke.